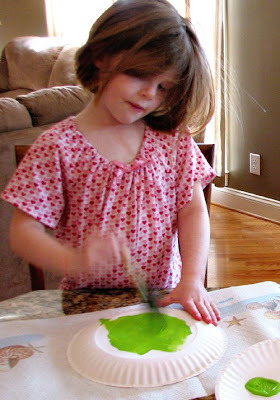 When I pulled out the supplies for this craft Cheyanne said, "Oh goodie, we get to paint!". 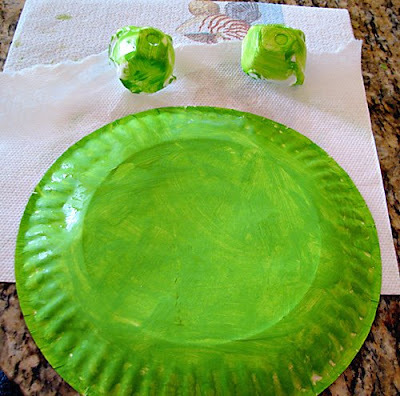 This is an easy and adorable frog to make. 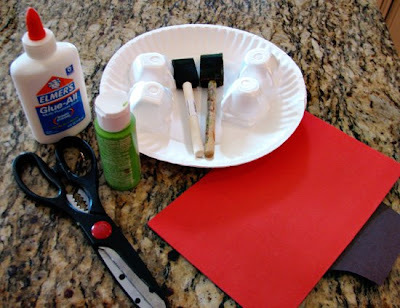 Paint the paper plate and egg carton cups. Allow time to dry. 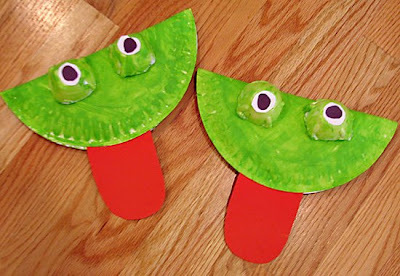 Cut out tongues and eyes. 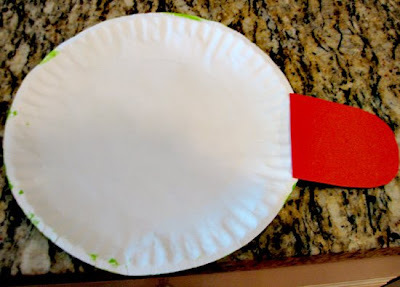 Glue tongue to the inside of the plate. 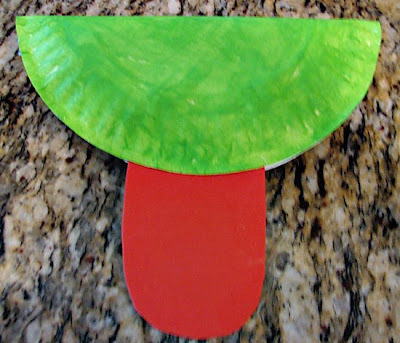 Fold plate over, with the tongue being in the center. 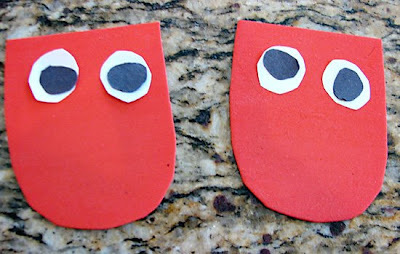 Glue eyes to egg cartons and glue egg cartons to plate. Ribbit !!! Ribbit!!!!! This Crafty Corner post was written by Jennifer, you can visit her at her blog, Ramblings of a Crazy Woman. Thanks Jennifer for sharing such a cute craft!!! !